Known for being family friendly this beautiful Austrian ski resort has spectacular views over the Otz Valley and its glacial backdrop. It's also known for convenience, most of the best places to stay in Obergurgl are only a few minutes walk from a ski lift. It seems so well organised that there are rarely any queues. It is also known for its snow record - there's plenty of it! Often enough to ski from November to May. 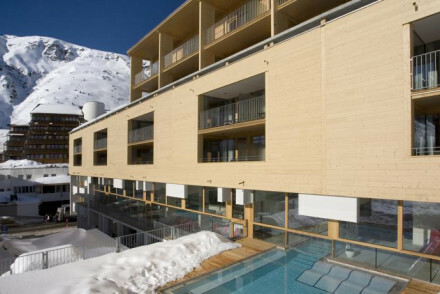 As well as the package-booked hotels and resorts, Obergurgl has a selection of B&Bs and some high end spa style resorts so there's plenty of choice. With a reputation for being family friendly as many hotels and resorts have family size suites or apartments. Ski or board along the numerous well-manicured runs with options for all abilities. Try your hand at cross-country skiing, snowshoeing or ski touring. Come hurtling down the 3km toboggan run. Find your balance on the town's ice skating rink. Embark on long hikes through the scenic mountain paths. With so much on offer many of the best places to stay in Obergurgle are quickly snapped up so plan ahead and make your booking soon. 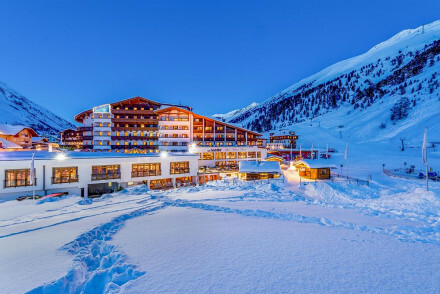 For five stars worth of elegant luxury, including an excellent spa, an excellent cellar and a half board option which includes a six course supper, one of the best places to stay in Obergurgl is the Top Hotel Hochgurgl. Ski-in and out of the hotel and enjoy spectacular views of the Otztal mountains from the outdoor heated pool. The family sized suites make this a great choice for families looking for luxury. The 5* Hotel Hochfirst in the Obergurgl-Hochgurgl ski region offers gorgeous rooms featuring cream bathrooms, faux fur throws and grey slate furniture. There is an indoor and outdoor pool, spa with sauna and hot tubs. If you're looking for a great, traditional, ski in, ski out hotel, we'd recommend the Alpina Deluxe. It has everything you need, from ski rental to a lively bar and restaurant, to a great spa to help you unwind. There are also exceptional views from the simple, traditional rooms. This is another of the best places to stay in Obergurgl with a family as kids up to eight ski for free. If you want to be in the centre of things, try the Hotel Madeleine. Only three minutes from the main lifts but still in the centre of town. The decor is traditional and comfortable and some rooms have romantic features such as four poster beds. 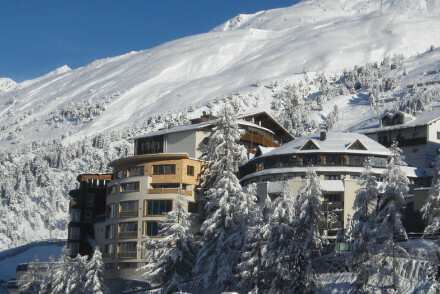 Hotel Bergwelt is a stylish, modern family friendly hotel on the ski slopes of Obergurgl. Rooms and suites have a blend of traditional alpine features and modern comforts. Edelweiss & Gurgl has an excellent spa and sports program offering hiking, riding, fishing and kayaking among other active pursuits. Every room has a balcony, so you have mesmerising views. With rooms starting from just £83 per night, this is also one of the best places to stay if you're on a budget. The Josl has a modern, revitalising vibe to it. There are bright colours and floor to ceiling windows everywhere letting in all that beautiful mountain light and scenery. In winter it's just minutes from the ski school meeting area, in summer there are walking trails leading right out of the hotel. 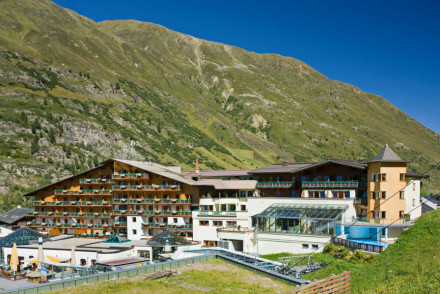 Hotel Crystal is a chic 4 star hotel in Obergurgl in the Ötztal Alps. With sleek contemporary rooms, many offering gorgeous views of the surrounding mountains from large windows and balconies. Hotel Jenewein is a traditional chalet hotel in the Tyrolean Alps. Cosy rooms have wooden beds, excellent views and modern bathrooms. There are separate self-catering apartments available too. If you're looking for your own little home from home, then perhaps a villa or apartment is the best option. We recommend you check out the properties with our online partner Booking.com. The nearest and most convenient airport is at Innsbruck, 97 km away. About one hour and 20 minutes by car or taxi. 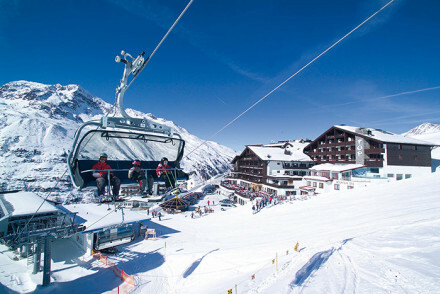 Obergurgl boasts an exceptionally long ski season running from mid-November until early May. For hikers travel between June - August for the most temperate weather. If you want to hire a car - which we highly recommend if you want to see more than just the headline sights - we recommend you visit our online partner Rentalcars. 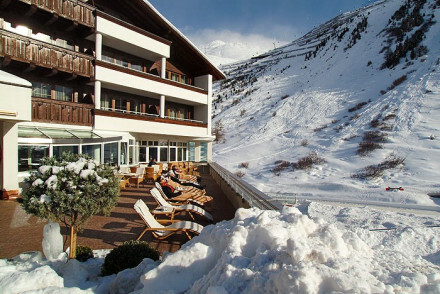 Browse though our list of all the best places to stay in Obergurgl. Widen your search and look at all our properties in Tyrol. Fantastically sporty hotel with an excellent spa and sports programs during the winter and summer seasons. Traditional rooms, suites, and family suites have wooden beamed ceilings and lots of natural light. A great choice for an active holiday. Skiing - Located right beside the cable car. On site sports shop for all your rental requirements. Active Holiday - Winter and summer sports programs. Traditional chalet hotel in Tyrolean Alps. Cosy rooms have wooden beds, excellent views and modern bathrooms. Separate self-catering apartments available. Spa, steam room, sauna and sun terrace. Good restaurant, child friendly options. Friendly service and ideal ski-to-door facilities. 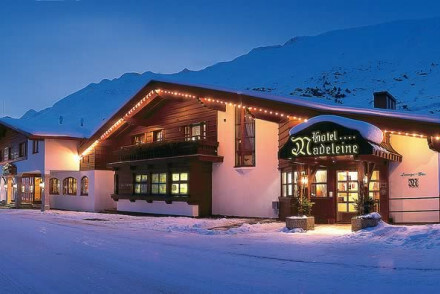 Stylish, modern family friendly hotel on the ski slopes of Obergurgl. Rooms and suites are a blend of traditional alpine features and modern comforts. The hotel's spa is the perfect place to soothe your ski-wearied limbs. Gourmet cuisine from the two restaurants and wonderful views. Skiing - Ski-to-door access, ski school and ski hire all available at the hotel. Great walks - Excellent summer hikking opportunities starting from Obergurgl. Kids Club - Excellent activities organised for children aged 3 and over. A lovely four star hotel that oozes tradition and elegance. Romantic bedrooms, suites and family suites have four poster beds, wooden beams, and private balconies. Excellent spa, authentic restaurant, and ski cellar. A contemporary hotel with an excellent spa. Shiny modern interiors have floor to ceiling windows and brightly coloured decoration. A great mountain choice for active days and rejuvenating evenings with a grown up feel. A good four star ski hotel with all the equipment, ski rental, instructors, and apres ski luxury for a fantastic ski holiday. Simple traditional rooms, suites, and apartments have huge white fluffy beds and light wood finishings. Excellent spa, restaurants, and ski school for children. Skiing - There is a piste right next to the hotel for a ski in, ski out location. 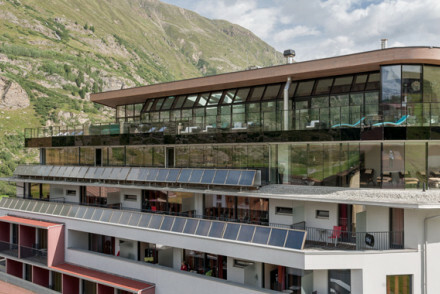 A chic 4 star hotel in Obergurgl in the Ötztal Alps. With sleek contemporary rooms, many offering gorgeous views of the surrounding mountains from large windows and balconies. With a wonderful restaurant serving regional cuisine with a modern twist, and a lively bar. Total relaxation - Unwind in style in the cosy bar, or make the most out of the spa and sauna facilities and book yourself a massage! Active Holiday - The hotel boasts two pools and a gym and is surrounded by ski runs and hiking trails. Great walks - Surrounded by 7.5 miles of hiking trails, this is the perfect spot for a summer walking holiday. A Five Star ski resort. Skiing equipment and rental on site and skiing straight from the hotel. Luxury spa, beautiful rooms, suites and family suites, and an excellent restaurant. Traditional elegant interiors have fireplaces, wooden ceilings and paintings. Great for all skiers. 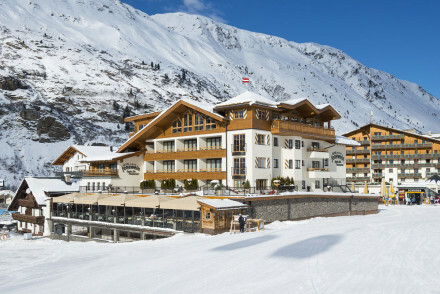 5* chalet hotel in the Obergurgl-Hochgurgl ski region. Gorgeous rooms feature cream bathrooms, faux fur throws and grey slate furniture. Indoor and outdoor pool, 1500 m² spa with saunas and hot tubs. Excellent menu and stylish bar with live music. Large terrace to take in the stunning views.